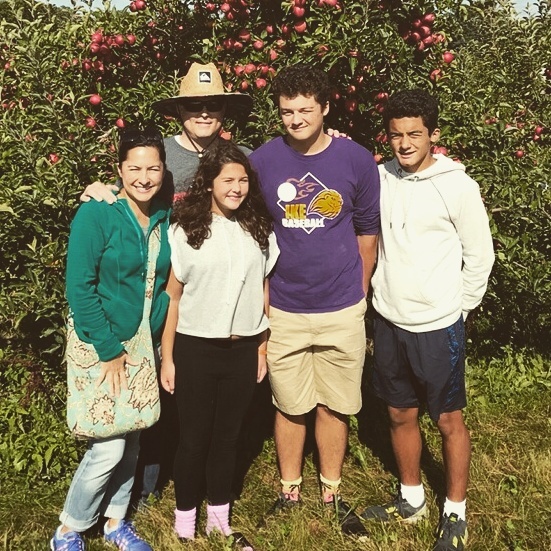 We were fortunate enough this year to go apple picking at one of our favorite orchards. Not sure if we love apple picking as much as we love their apple pie from the Elegant Farmer. Regardless, apple picking was something we always loved to do when the kids were growing up. Something about watching them eat a bunch of apples while climbing trees is a quick pleasure. This year we probably bought way too many apples, and as I would walk past the half bushel, I decided that I would come up with something and see if the family would try out the apple chips. My wife was gratuitous enough to get me a food dehydrator some time ago. I’ve done everything from making beef jerky to vegetable chips in the dehydrator and I’ll admit that I love it. So when the apples were in my zone, I decided on batching out some apples and making apple chips. So easy, so good, and a great way to use up some apples. Yep, that’s it. If you want to jazz them up, you could put some cinnamon and sugar mix onto them once they were cut up, but I went simple and simple was good. 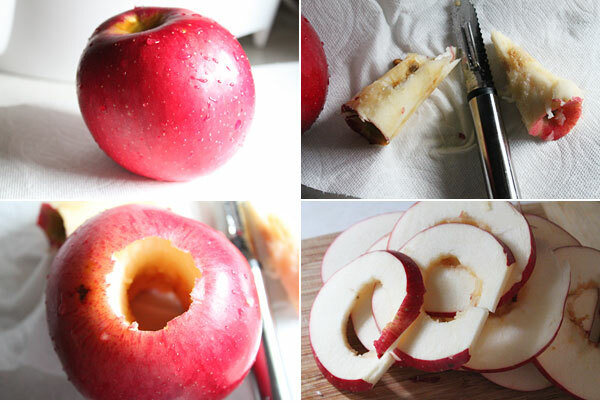 Take your sliced apples and place them onto your dehydrator trays, leaving about 1/2 inch between each one. The goal is to not let them overlap or touch one another. Once you have filled the trays, turn on your dehydrator and let them dry out for about 4-6 hours. It’s ok to feel them, and take them out when they meet your desired crispness. You can store these in a airtight container to keep their crispness, but in our house, they were gone that afternoon. I was a bit startled to say the least to see them go so quickly, but I was actually really glad because I knew that everyone had a great nutritious snack that day. 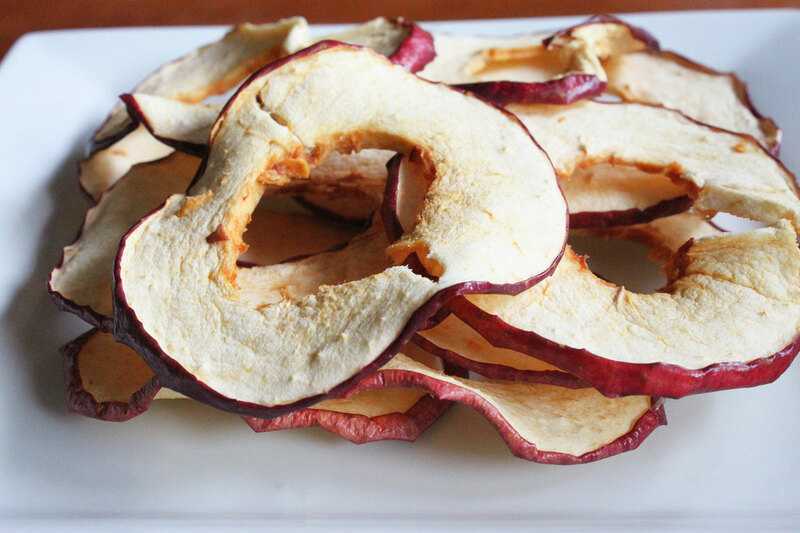 So if you are looking for something delicious and easy, and a great snack to boot, give these dehydrated apple chips a try (and yes you can do these in the oven as well). My family devoured dried fruit of all sorts: apple slices, banana chips, berries, fruit pastes dried and rolled (avoiding a brand name.) Your post makes me miss my dehydrator. Thanks Wendy! I love the dehydrator, and it is a great one in the kitchen. Great family pic Dax! I have long wanted a dehydrator and I think it’s time, the apple chips look good! Cool idea. I’ll give it a try. Thanks.